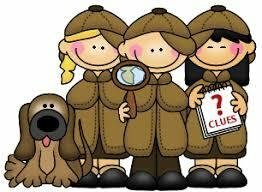 Bulls Gap School: Highlights - 3rd Grade Detectives! Third graders had to examine a crime scene and draw conclusions based on the evidence. Then, they read through case files on 5 suspects. They used the evidence from the crime scene to narrow down a suspect. The suspect was questioned and the principal was saved! Click here for crime scene photos.